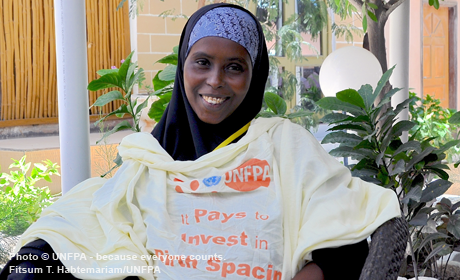 Active in Somalia since the 1970s, UNFPA supports humanitarian responses and recovery efforts. It also works with health services to reduce maternal mortality, among the highest rates in the world, by strengthening community midwifery and the supply of commodities. Further efforts have focused on conducting nation-wide population estimation surveys. Engaging with the government and civil society to provide services for vulnerable youth, UNFPA promotes reproductive rights and the elimination of harmful practices such as female genital mutilation/cutting.